Critical Reading: “Why Learn to Analyze Fiction?” by MaryAnn Diorio, Ph.D.
You, my dear bloggers, are in for a great treat. 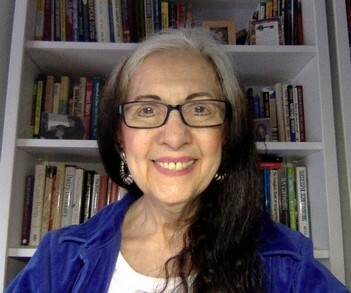 Our guest columnist today is a fellow ACFW member whose background in comparative literature gives her greater insight into critical reading than I’ll ever be able to share with you! Why Learn to Analyze Fiction? I’ve read with keen interest Kaye’s great posts on the critical reading of fiction, partly because I want to learn all I can about fiction writing, and partly because she asked me to write today’s post and I didn’t want to come across as clueless regarding what’s been transpiring on this awesome blog. Have you ever jumped into a conversation mid-stream and embarrassed yourself? Do I hear a weak “yes”? Well, then, you know exactly what I mean. Anyway, Kaye has given me the honor of talking a bit about why I think writers should learn how critically and objectively to analyze the work of other published writers. As someone who spent years doing this as both a Master and a Ph.D. student in Comparative Literature (with a concentration on the novel) and a former university professor who has taught writing courses, I’d like to share with you some of my insights. Modeling, as I define it, is the process of analyzing a novel for the purpose of writing one oneself. Analyzing a novel for other purposes is called literary criticism. Basically, literary criticism is the act of evaluating, understanding, and interpreting an author’s writing for the purpose of appreciating it more fully, not usually for the purpose of writing a novel oneself. 1. Structural Understanding. We analyze in order to understand. When I was a little girl, I enjoyed taking things apart and then putting them back together again. I wanted to understand not only the individual parts but also how those parts fit together and worked together. The same is true of novel analysis. We take a novel apart to understand its individual parts (characters, plot, theme, etc.) and to understand how those parts fit together and work together. It takes this kind of understanding to write a story. 2. Language Understanding. Modeling gives the writer an understanding of the author’s use of language. This use includes literary devices such as metaphor, simile, synecdoche, and personification, among others. Because fiction employs a host of literary devices that create a particular effect, knowing how to analyze a work of fiction helps the writer focus on those language devices that will enhance her own fiction writing and render it more powerful and memorable. 3. Character Formation. Characters drive fiction and are its raison d’être. As we analyze an author’s characters, we observe whether a character is strong or weak and why. We note how the author used dialogue, backstory, pacing, and tension to create his character. As we learn what another author did to create powerful characters, we are better able to create powerful characters of our own. 4. Theme Recognition. Another reason to learn how critically and objectively to analyze a published author’s work is to understand how an author weaves theme into his fiction. Theme is organic to a novel. It grows from the inside out and often emerges without the author’s conscious awareness. As you write your own novels, you may know your theme when you start, but sometimes the theme will not become evident until the novel is finished. It is a well-known fact that we learn by doing. Dissecting a novel is halfway between reading one and writing one. But how you handle that halfway point can make all the difference in your reaching your final destination. © 2007 by MaryAnn Diorio, Ph.D. All rights reserved. Thank you, MaryAnn, and thank you, Kaye. So much to think about…so much to READ! Great distinction between modeling and literary criticism. Thanks for the great post! I’ve been reading the posts silently because there’s so much to learn in this area. Thanks Kaye and MaryAnn!